Snazzy traditional bag Schopper 17010 by Lady Edelweiss in antique grey. The antique grey women's accessory from our online shop offers plenty of storage space. 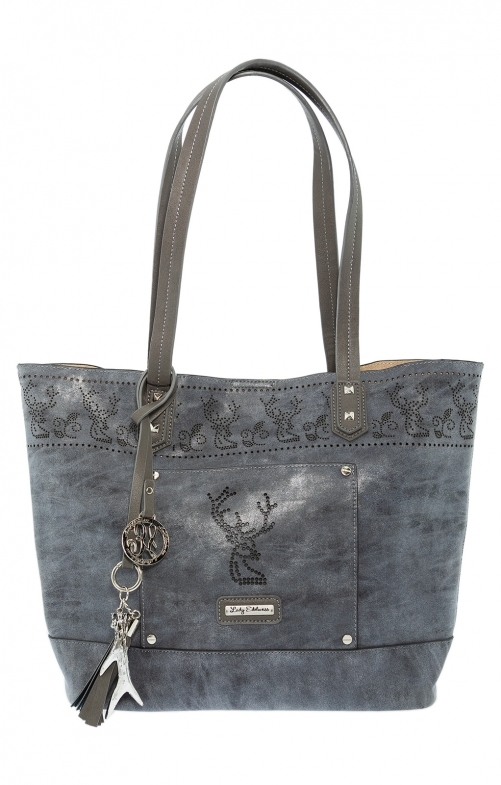 The imitation leather handbag combines a slightly marbled grey with stamped deer motifs on the top and the centre. Horn, leather and logo pendants create a bag for every day.